The Kyrie Irving-to-Boston Celtics trade last week rocked the NBA world. The former Finals champion and heir to LeBron James’ throne in Cleveland had his intentions to leave Cleveland via trade leaked in the weeks prior to the deal, making it more of a “when, not if” type trade. Of course, moving a player of that caliber is tricky. There’s a lot to consider – health, contract, upside – and it all comes back to the same question. 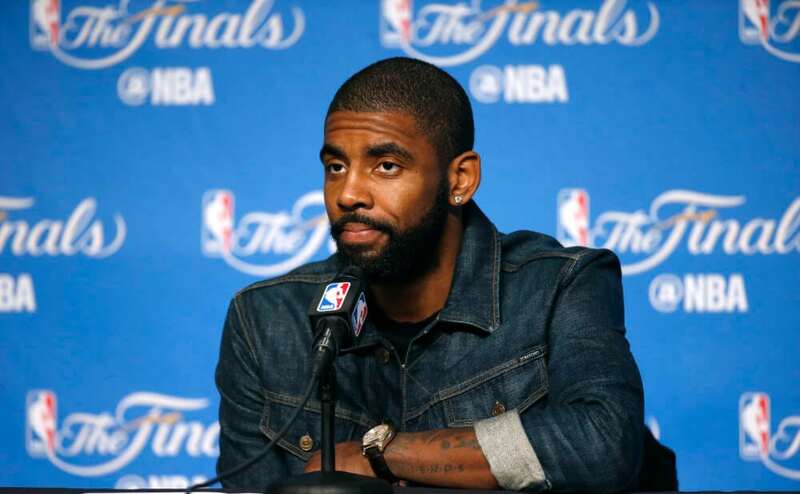 What is the tangible worth of Kyrie Irving to an NBA franchise? According to Cavs new GM Koby Altman, the answer is Boston Celtics star Isaiah Thomas, two-way wing Jae Crowder and the Brooklyn Nets 2018 First Round Pick. Crowder, long considered to be a steal for Boston in the Rajon Rondo trade, has been heralded once again as a key piece of the deal. His defense will help take some pressure off LeBron (no, Jae Crowder is not going to be capable of defending Kevin Durant one-on-one in the Finals for seven games, but he can help!) while his shooting and ability to spread the floor is exactly what Bron looks for on the offensive end. The Nets pick, while not quite as valuable as some might think, is still almost certainly a top-7 pick next season, making it useful both as a trading tool for more assets, or as a jumping-off point for the team’s eventual rebuild when James leaves. Surprisingly, the trades biggest question is it’s second biggest star – Thomas. After suffering a labral tear in his hip during March and playing through it until his Celtics were eventually eliminated by the Cavs in the Eastern Conference Finals, IT has spent his offseason pondering his next move. Hope he can rehab the injury, or go under the knife. Hope he can miss no time, or be out for at least six months according to a new ESPN report. In the case of Wilson Chandler in 2015, the report details, the recovery time from surgery was a whopping ten months. For those of you who struggle with math, that puts Thomas’ return either sometime in March, about a month before the end of the season, or July, after the Playoffs. This uncertainty wasn’t lost on the Cavs when making the deal, they reportedly considered backing out after Thomas’ injury, then considered asking for additional compensation before finally signing off on the originally agreed upon deal. The hesitation showed something clear – this IT injury is very, very real and very, very serious. With Cleveland’s championship dreams closing by the passing day (depending on how much faith you put in those ‘LeBron is 100 percent’ leaving rumors), Thomas’ hip has suddenly become Cleveland’s most urgent issue. Even if Thomas doesn’t opt for surgery and manages to miss a minimal amount of time, his future in Cleveland has plenty of question marks. Soon to be on the wrong side of 30 and at just 5-foot-9-inches, it would be silly not to worry about how the scoring-minded point guard will age, especially when you swapped out a 25-year-old that’s about to hit his prime to get Thomas. Will he be able to find those seemingly invisible holes in defenses and be able to explode through them once he loses a step? What about two steps? So much of IT’s game is based on two core concepts – craftiness and explosiveness. He can find the smallest of holes to sneak through, then sneak through it and finish at the rim. His 37.9 percent shooting mark from deep last year will help his aging process, but it’s still likely we see a pretty steep drop off from Thomas over the next few years as Father Time inevitably catches up to him. Trades are so hard to grade in the moment and it’s why I try not to. Instead, I try and look at the most important meters to watch out for in the future so that once things have actually played out, I know exactly what to look for. After all, what’s the point of giving the Kyrie deal an “A+++” for Boston when Irving can get hit by a bus tomorrow and screw the whole thing up? Then what? Is Danny Ainge suddenly an idiot? Irving is probably set to become the face of the Celtics, assuming he stays in Boston next offseason. Crowder is a good, but not particularly game-changing player. The Nets pick is entirely up in the air. For now, the Kyrie Irving mega-trade will be measured based on Isaiah Thomas, his hip and his future.